Probably one of the biggest requests we received last year at our Big Latch On was to sell T-shirts for the event. Now sure why we never thought of that idea because it was brilliant! 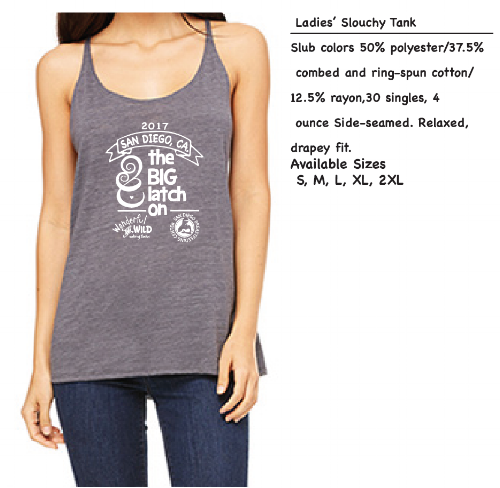 We are so excited to partner up with Garb Goods, one of our favorite local designers and screenprinters, to offer you a San Diego Big Latch On 2017 t-shirt or tank top. The pre-sale will take place from July 17th - July 27th and all shirts are $15. All shirts can be picked up at Wonderful and Wild starting on August 2 or you can pick them up when you sign-in at the Big Latch On event. 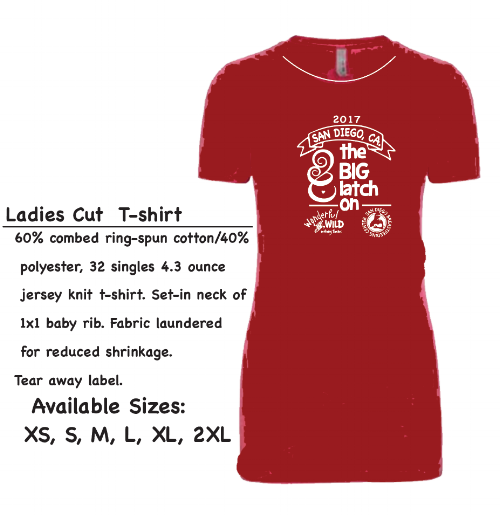 We will also have a limited amount of T-shirts for sale at the Big Latch On event, for $20. All proceeds will be donated to the San Diego Breastfeeding Center Foundation to help pay for lactation consultations for local low-income women. Click on your favorite shirt to be re-directed to the Wonderful and Wild website for purchase.